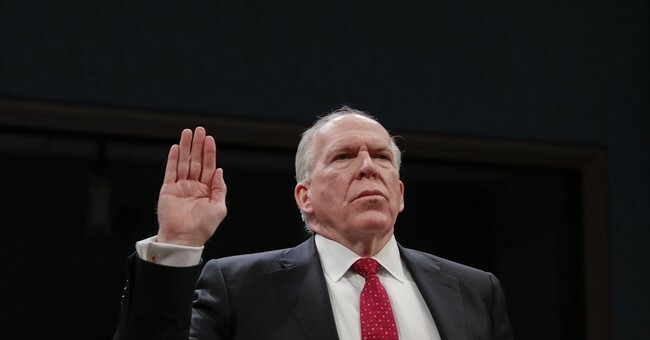 President Donald Trump’s decision to revoke former CIA director John Brennan’s security clearance is a “politically motivated” attempt to silence those who disagree with the president, Brennan said in a New York Times op-ed on Thursday. Brennan's op-ed published Thursday, one day after the White House announced the president had revoked the former CIA director's security clearance and placed the clearances of several current and former officials under review. Brennan, who has often been critical of Trump, helmed the intelligence agency from 2013 to 2017. Wait, you’re saying there’s a campaign to silence you, yet you can still say whatever you want, right? You just did. And the anti-Trump media are going to give you even more media its and exposure over this security clearance nonsense. Former CBS News investigative reporter Sharyl Attkisson also torpedoed this absurd narrative. Brennan tweeted, “This action is part of a broader effort by Mr. Trump to suppress freedom of speech & punish critics. It should gravely worry all Americans, including intelligence professionals, about the cost of speaking out. My principles are worth far more than clearances. I will not relent.” He. Tweeted. This. He’s obviously not being silenced, folks. It’s just some former top intelligence officials complaining he no longer has access to sensitive information, which he could possibly leak to the press. "Silencing" @JohnBrennan would mean -- well-- making it where he couldn't be a TV personality or removing him from Twitter and social media or hitting him with an injunction. I don't think that's happened (nor should it). He isn't silenced. So, no, we’re not becoming a banana republic. This isn’t Russia, even though Democrats now seem to think they’re the hordes of Mordor now. The president can do this. He did it. And you can all the 25-person deep panels all you want, liberal media. The decision is final—and it’s not yours. Also, Hillary will never be president and Obama is not coming back.